Teeth cleaning is a daily chore, with some people cleaning their teeth up to two or three times per day. Not only is it required for fresh breath, but cleaning teeth is necessary if one wants to avoid plaque stains and tooth decay. Another desired benefit of teeth cleaning that most people wish to attain is whiter teeth. It may appear to sound obvious that whitening one’s teeth comes with brushing, but there’s a lot more to it than that. Dentists recommend the use of floss to reach in places that the normal toothbrush cannot. When people clean their teeth, they often don’t realise that there are places that standard and electric toothbrushes miss. It might not matter how many times per day individuals clean their teeth, but failure to reach certain areas around the teeth may facilitate the build up of plaque and subsequent tooth decay. 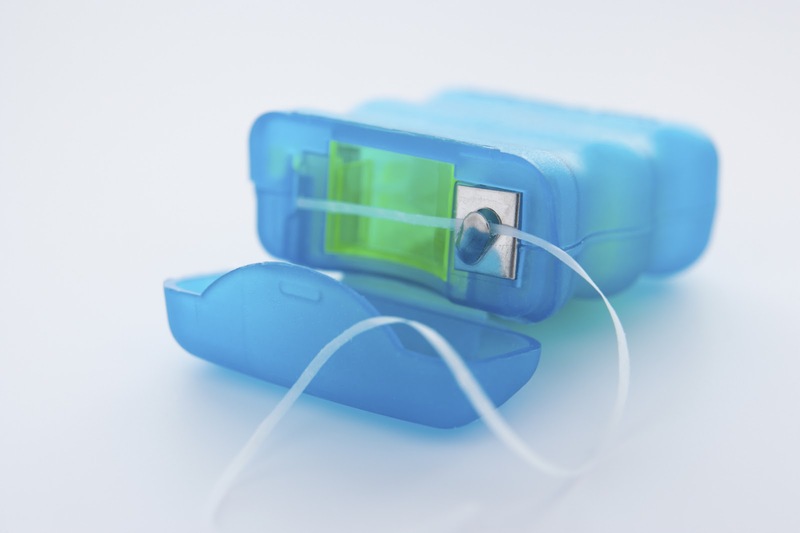 That is why the use of floss to supplement the teeth cleaning process is necessary. Dental floss itself is a collection of plastic fibres or thin nylon filaments. Flossing is done when individuals place the dental floss in between their teeth, hold it down and rub it back and forth. Teeth cleaning by standard or electric toothbrush should be supplemented with flossing, if one hopes to achieve the regular status of whiter teeth. This is because flossing reaches in places that traditional brushing cannot. People may not realise it but the build up of plaque – and subsequent tooth decay – occur when toothbrushes do not scrub away the accumulated gunk from inaccessible places. In fact, the most common areas where dentists instruct people to brush more often are in the small gaps between teeth. This isn’t surprising. For the best results, it is recommended that one engages in flossing prior to traditional teeth cleaning by toothbrush. People tend to notice whiter teeth when they have flossed twice a day for several weeks. Thus it is a good habit to adopt. Indeed, research carried out by Milan University Medical School in Italy reveals that the risk of heart disease is surprisingly lowered by regular flossing. This is because gum disease is prevented, and there is a link between gum disease and heart conditions, hence the reduced risk. Many perceive flossing as an added burden to an already mundane chore of teeth cleaning. But if individuals desire whiter teeth, they should overcome the reluctance and commence flossing today, citing the reduction in heart disease as a worthwhile incentive.